As the time grows near for 1GHz Athlons to become more commonplace as well as in anticipation of the release of the Thunderbird core (Athlon + 256KB on-die L2 cache), motherboard manufacturers are doing whatever is in their power to release their KX133 motherboards on-time and without any of the problems that may have plagued their VIA based solutions in the past. The Athlon motherboard market essentially belongs to those motherboard manufacturers that are bold enough to pursue Athlon motherboard designs. Since the market isn't nearly as saturated as the Intel 440BX motherboard market for example, it is quite attractive to some of the larger motherboard manufacturers that wish to gain as much ground as possible in virtually all areas. OEMs are obviously taking the Athlon seriously, and scoring OEM deals is what truly separates the successful motherboard manufacturers from those that aren't so successful. 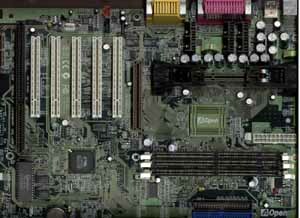 With a growing demand for Athlon systems, OEMs are definitely on the lookout for Athlon motherboards from the manufacturers that supply them boards for the rest of their, non-Athlon, product line. If those manufacturers don't have Athlon products, then it may be time for that particular OEM to begin soliciting help from some of the manufacturer's competitors. One of the world's most profitable motherboard manufacturers, AOpen, wasn't about to let this market fall into the hands of their competitors. Long time AnandTech readers will know that there hasn't been a manufacturer that has received more of our Editor's Choice Awards than AOpen in the past couple of years. 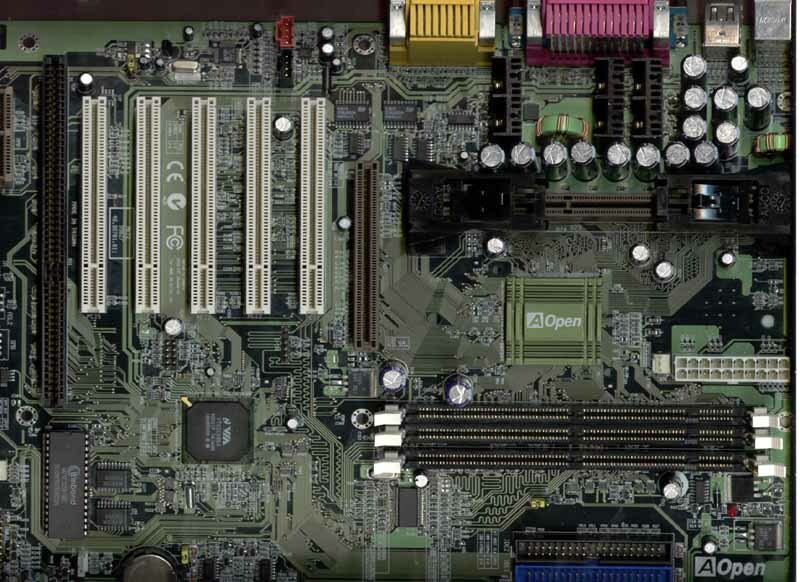 AOpen has consistently been able to deliver the features users demand from a motherboard while maintaining a respectable level of stability through their excellent choice in components as well as their extremely rigorous QA testing procedures that take place before you even set your hands on one of their motherboards. Because of AOpen's virtually spotless history, when they announced that they would be producing an Athlon motherboard this year we were definitely looking forward to getting our hands on what would surely turn out to be one of the best Athlon motherboards to hit the streets. We were originally told to wait until the end of January 2000 for AOpen's AK72, their KX133 based Athlon motherboard, unfortunately after a few more delays that plagued not only AOpen's project but KX133 motherboards from virtually every motherboard manufacturer other than EPoX, the AK72 didn't make its way out of AOpen's plants in January as planned. After a bit of tweaking of the design, the AK72 is finally ready for the public to see and the reviewers to judge. While the AK72 didn't step away with an Editor's Choice award like most of AOpen's previous submissions to AnandTech for evaluation, let's take a look at how well it stacks up to the rest of the Athlon motherboard market out there and see if it measures up to our high expectations from AOpen. The first thing you notice about the AK72 is its incredible size. The board is built upon a PCB that is much larger than most regular ATX designs and more closely resembles an extended ATX design that is usually reserved for dual processor motherboards. The board itself is about the size of FIC's SD-11 which is the only other oversized Athlon motherboard that we've seen in the lab. The reasons for AOpen choosing such a large PCB design for the AK72 aren't very clear because it is more expensive to produce a board with a larger surface area than it is to produce one with a smaller surface area simply because you save on PCB costs with a smaller layout. Also, with a larger motherboard layout you can run into space constraints in smaller ATX cases that could possibly hinder the cooling efficiency of your setup because of cable clutter, or the motherboard may not even be able to fit properly if you have a small enough ATX case. This is something you'll definitely want to take into account with the AK72 since it is about a full inch (2.54cm) deeper than most ATX motherboards. The AK72, like most Athlon boards being released these days, is based on VIA's KX133 chipset. The KX133 makes use of the VIA 371 North Bridge that is covered by the very familiar green AOpen heatsink and located between the Slot-A interface connector and the three DIMM slots. The 371 North Bridge provides for the board's AGP 4X support in addition to support for four different memory types: PC100, PC133, VC100, and VC133 SDRAM. The main benefit of the 371 North Bridge is its support for PC133 SDRAM which, when running at 133MHz, can offer up to a 20% improvement in performance because of the 33% increase in peak memory bandwidth. While the 371's integrated memory controller supports Virtual Channel (VC) SDRAM in both 100 and 133MHz versions, the relative lack of any Virtual Channel SDRAM in the market as well as the negligible real world performance improvements offered by VC-SDRAM over regular PC100/PC133 SDRAM make this feature something that looks good on paper but doesn't really come in handy in the real world. This is unlikely to change as VC-SDRAM will most likely be overshadowed DDR SDRAM which is due to ramp up in quantities later this year. Regardless, the AK72, like all other KX133 boards, features three DIMM slots all capable of accepting any of the four aforementioned memory types. In the event that your memory can't run at 133MHz, the chipset allows for a 3:3 ratio to be used with the FSB frequency to let your memory bus operate at 100MHz (along with your FSB at 100MHz) while still offering PC133 memory owners the option of using a 4:3 ratio thus placing the memory bus at 133MHz while the FSB still runs at 100MHz.